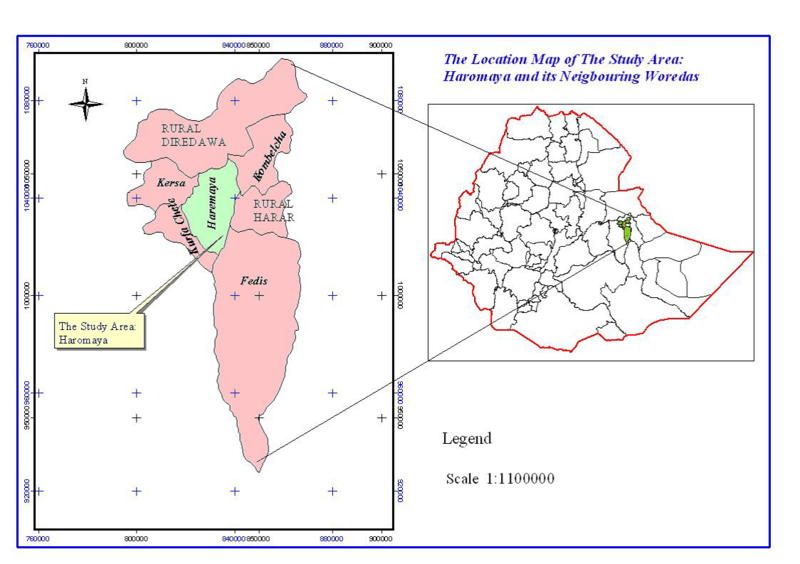 A Study on the Composition, Agro Ecosystem Use and Socio Economic Role of Homegarden in Selected Kebeles of Haramaya District, Oromia Regional State, Eastern Ethiopia. Homegardens believed to be more diverse and provide multiple services for household than other mono cropping system and this is due to the combination of crops, trees and livestock. The study focused on the composition, structure of homegarden, diversity of plant species and contribution of homegarden to household food security, socio-economic importance. From the total of twenty kebeles, Gode, Damota, Tennike and Finkille kebeles were selected using lottery method. 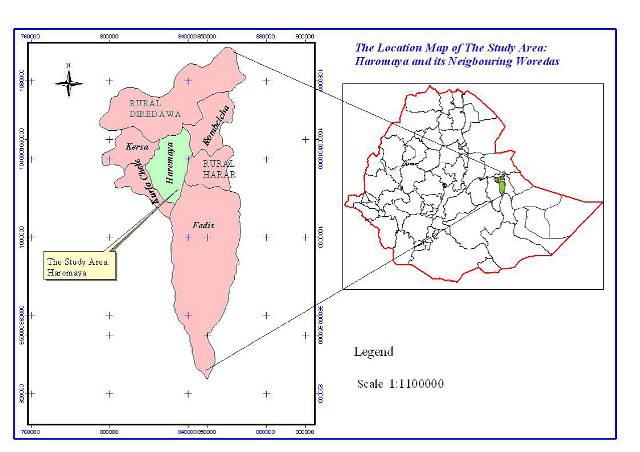 In a reconnaissance survey made in the kebeles from October 10-25 2016 four sites were selected purposively. Totally 80 households which are home garden users were selected for this study. Socio-economic data and potential economic and agro-ecosystem role of home garden agro forestry were collected by using structured questionnaire, focus group discussion and semi structured interview. The family size of respondents ranges from 2-12. There is a strong correlation between the farm land holding and the size of the homegarden. Nine tree species were identified in the study area. The homegardens were covered with fruits and other plants before 20 years ago but know there is complete change on the vegetation cover. The dominant species in the area is chat (Catha edulis). The regression analysis made to identify determination of annual income showed that income from home garden and numbers of species in the home garden have strong correlation with annual income at P < 0.05. Home garden agro forestry significantly at P < 0.05 improved the farmer’s cash income. With insignificant garden size; home garden practice provides good socio-economical and agro-ecological service for the farmers which have higher implication for climate change adaptation and family level food security. Causes, Control and Prevention Methods of Pregnancy Toxemia in Ewe: A Review. Kelay A and Assef A.
Pregnancy toxemia, also known as ovine ketosis, twin-lamb disease or gestational toxemia is a metabolic disease affecting pregnant ewes. The objective of this review is to highlight possible causes and predisposing conditions of pregnancy toxemia in ewe and to indicate successful control and prevention methods of the disease. English articles published from 1983 to date was searched with Google using toxemia, pregnancy, ewe, treatment, prevention, ketosis and diagnosis as key terms. The increased requirement for energy during pregnancy, accompanied by inadequate nutrition to meet metabolic requirement is the underlying cause of the disease. This negative energy balance initiates the onset of excessive lipid metabolism and ketosis, and eventually causes hepatic lipidosis. An excess of ketone bodies can occur in both poor and good conditioned sheep and in fact, excessively fat ewes can be more prone to pregnancy toxemia. Moreover, conditions that interrupt feed intake, such as storms, hauling or other diseases can also induce this metabolic disease. Affected sheep exhibit weakness and depression, usually within the last six weeks of pregnancy. It has seen more often in older ewes and those carrying multiple fetuses. 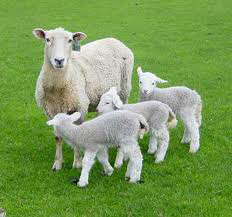 Pregnancy toxemia is almost never observed in replacement ewe-lambs or yearlings lambing for the first time. If untreated, the disease progresses, causing neurological signs and eventually death. Therefore, Understanding the causes, pathogenesis, prevention and treatment of this disease is important in preventing production loss in sheep farming operations.